Steve may have met his match with Natalie. » Watch Little Big Shots: Forever Young Wednesdays 8/7c on NBC! 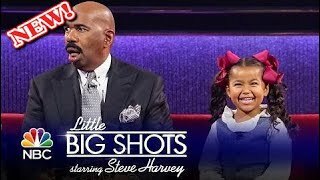 Little Big Shots follows Steve Harvey as he showcases the nation's most extraordinary young people. From Executive Producers Steve Harvey and Ellen DeGeneres comes a new variety series showcasing the nation's most extraordinarily talented, quirky and fun kids. 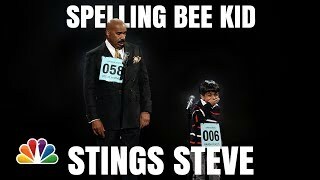 Host Steve Harvey ("The Original Kings of Comedy," "Family Feud") will chat and even go toe-to-toe with these child prodigies, eliciting plenty of hilarious and heartwarming moments. From pint-sized break-dancers and piano virtuosos to kids who have surprising talents or just make us laugh, these gifted performers will slay us with their cuteness and wow us with their accomplishments, proving once and for all that talent is born, not made. The second season of the hit show is almost back! 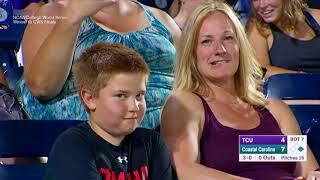 Here's a taste of what's in store with adorable Lincoln expert Lucy and Steve Harvey.